LDEI presents the M.F.K. Fisher Award every two years. Originally, the award was designed recognize and support a woman in mid-career whose work directly impacts the areas of food, beverage and arts of the table. 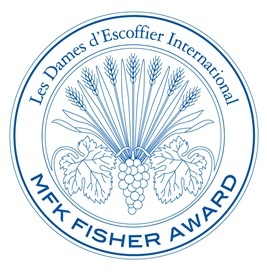 The Award honors M.F.K. Fisher, a widely read and lauded culinary writer whose works are appreciated by general readers as well as culinary professionals. Women worldwide are eligible to be nominated for the award. In 2006, the M.F.K. Fisher Awards program was completely redesigned. The award now recognizes excellence in culinary writing. DC Dame CiCi Williamson is the M.F.K. Fisher Award Chair for 2006-2012. For information on the awards program, go to www.ldei.org. Celebrate the life and accomplishments of M.F.K. Fisher at www.mfkfisher.com.